For those who haven’t considered it before, it’s worth knowing that a Gold IRA works pretty much in the same way as a traditional IRA, or 401k. The only difference worth noting is the fact that your Gold IRA gives you the ability to hold precious metals, such as Silver and Gold, in your account. At the same time, because a Gold IRA follows the set-up for a self-directed IRA, it gives you the freedom to make investment decisions yourself. The following are just some of the reasons why you should consider Gold investing in your Individual Retirement Account. Most of the time, the people who claim that they have silver or Gold only have documentation regarding their claims on these metals, and not actual physical access. 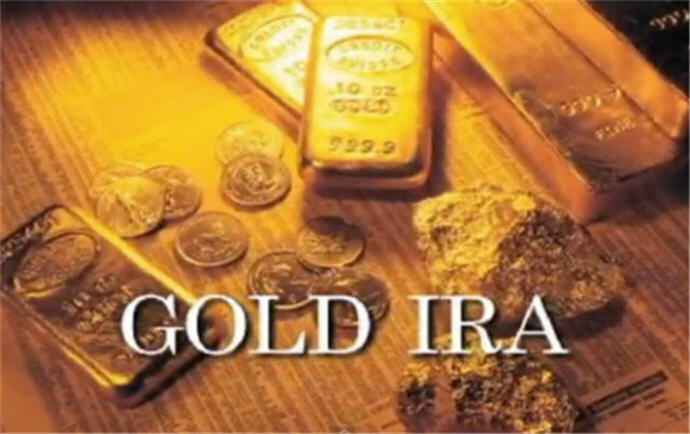 However, with a Gold IRA, you get to own the actual Gold bullion or coins that you purchase. To put it another way, this form of Gold ownership means that you’re not relying on pieces of paper to prove your worth or the value of your IRA. If you’re a savvy investor, the diversification that a Gold IRA affords may be one of the biggest benefits you can access. Diversifying your portfolio as much as possible is a good way to protect yourself against a volatile market, and ensure that you’re always in a safe position. Placing all of your eggs into one basket with an IRA is never a good idea, and a Gold IRA helps you to build your portfolio to a level that ensures it isn’t based on a single asset class. As previously mentioned, a Gold IRA gives individuals an outlet for owning the physical Gold that they want to invest in. However, there are some issues with owning your Gold or precious metals – the first having to do with security. In other words, you need to think about how you’re going to keep your Gold secure and away from thieves. The second thing to consider is how you’re going to prevent your Gold from being confiscated by greedy politicians. Fortunately, with a Gold IRA, you can avoid both of these concerns as much as possible, as the Gold that you do purchase will be securely stored overseas, where local legislation and thieves won’t be able to get access to. If you’ve examined the health and security of the Gold market before, then you’re probably aware of just how beneficial this asset can be in combination with the U.S dollar. The price or value of Gold moves counter to the value of the US dollar, meaning that as the US dollar worth begins to fall, the worth of your Gold will start to rise. With a Gold IRA, you get the diversification that you need to stay defended against a decline in the US dollar, which is likely to have a significant effect on your portfolio if you’re basing your future entirely on equities and cash. First and foremost, it’s worth noting that Gold, and almost every other precious metal available on the market today, has performed historically well in inflationary environments. Secondly, when you consider the fact that alternative sources of funding, such as bitcoin, are starting to grow against the dollar, you can presume that a similar relationship will occur with Gold. This means that by investing in a Gold IRA, you’ll be taking another step closer towards wealth protection against the danger of inflation. Yet another benefit about deciding to invest some of your money in a Gold IRA is that the process is completely tax free, regardless of what plan you may already have in place. Whether you’re dealing with a pension plan, annuity, 457b, 403b, or 401(k), you’ll be able to roll cash over into a Gold IRA without having to worry about losing some of your hard-earned savings to the penalty of taxes. 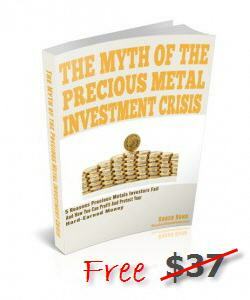 Something worth considering about Gold is that it is a limited asset – it can’t simply be printed like the dollar. This means that because the supply of Gold is limited, it will always remain valuable, and the more that people buy it, and the supply begins to dwindle, the more people will want it. If Gold is in demand for investment, then you can expect that your retirement savings will grow significantly over time. It’s impossible to deny that Gold has a rich and extensive history throughout cultures all over the world. In 800 B.C, the very first set of coins containing some form of Gold was introduced, and three hundred years later, some cultures began to make the very first coins purely out of Gold. The rich and exciting history of Gold has helped to preserve some of its value across the generations – something which is not the same with paper currency. The fact that Gold is not a paper asset means that you are protected to some extent form the decisions that are made by the U.S Government. For example, when the government starts to set a target inflation rate, interest rate, and other things that may impact the value of the US dollar, Gold will not be affected whatsoever. Investing in a Gold IRA shouldn’t be a difficult process if you choose the right one. In fact, it simply means filling out a few forms, funding the account and waiting for money to be converted into Gold within a matter of days. If you do need help making the move however, speaking to your IRA provider may be advisable.